WASHINGTON, D.C. -- Two months into her new job on Capitol Hill, Rep. Alexandria Ocasio-Cortez has become a much more recognizable figure to Americans. Half of U.S. adults were unfamiliar with or had no opinion of her in September after her seismic primary win over the summer, but that figure has shrunk to 29% today. But the increased visibility has not improved her overall standing with Americans. Whereas the public had mixed views of Ocasio-Cortez in September, her image now tilts slightly negative, with 31% viewing her favorably and 41% unfavorably. Next, we'd like to get your overall opinion of some people in the news. As I read each name, please say if you have a favorable or unfavorable opinion of that person -- or if you have never heard of them. How about New York Congresswoman, Alexandria Ocasio-Cortez? Since September, the congresswoman's unfavorable rating has climbed 15 percentage points while her favorable rating is up by seven points. The latest data are from a Gallup poll conducted Feb. 12-28. Ocasio-Cortez has garnered outsized media attention for a single member of the House of Representatives since last year when she defeated a 10-term incumbent in the primary. 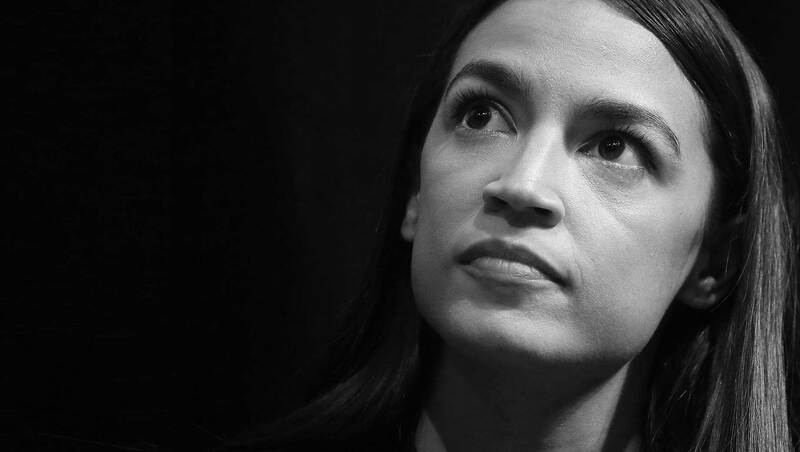 Young and social media-savvy, the congresswoman has used her new platform to advocate for progressive ideas and sponsor the New Green Deal, an ambitious proposal to combat climate change. The Bronx-Queens representative's start in Congress stands apart from her colleagues. It's rare to have a new member of Congress who is so widely recognizable by the public so soon in her career on the Hill. Senators Ted Cruz, Marco Rubio and Elizabeth Warren each made big splashes when they were elected earlier in the decade -- but even after each of their first 18 or so months in the Senate, most Americans had never heard of them or had no opinion about them. By contrast, Ocasio-Cortez is known by most Americans at this point, despite having only two months on the job as a House freshman. The only more recognizable member so early on was Hillary Clinton in 2001, who was already well known from the previous decade as first lady. The trajectory of Ocasio-Cortez's image has some similarities to that of former House Speaker Newt Gingrich. Though Gingrich was no newcomer to Congress, he only gained national prominence after leading the Republican takeover of Congress in 1994. Like Ocasio-Cortez, he quickly became a household name with more viewing him unfavorably than favorably within a few months of assuming the House speakership in 1995. Underscoring how far she has come so quickly, Ocasio-Cortez's ratings are currently similar to Senate Minority Leader Chuck Schumer, whose favorable, unfavorable and no opinion ratings from December are nearly identical to the congresswoman's latest figures. Schumer has served in Congress since 1981, first in the House of Representatives, and since 1999 in the Senate. Despite some increase in her favorable ratings, Ocasio-Cortez's unfavorable ratings grew at a greater pace since September among most groups. The congresswoman is viewed negatively by most Republicans, of whom 73% have an unfavorable view of her -- up from 52% in September. Only 5% of Republicans view Ocasio-Cortez favorably -- resulting in a net favorable rating of -68 among this party group. The fact that Republicans are more likely to have an opinion of her than Democrats helps explain her overall net-negative rating. On a net basis, Ocasio-Cortez performs best among Democrats (+41), of whom a majority (56%) now view her positively, and nonwhites (+20). Meanwhile, her net ratings are slightly negative among independents (-5) but slightly positive among women (+4) and Ocasio-Cortez's own age cohort of adults aged 18 to 34 (+5). Americans have taken note of the meteoric rise of Ocasio-Cortez, who went from a Manhattan bartender to a committee member on the powerful House Financial Services Committee in less than a year. But their view of her has become slightly more negative than positive in the process. As a result, despite her undeniable uniqueness, Ocasio-Cortez's image is now much like most of her congressional peers, whose negative ratings generally outweigh their positive ones. Her favorable ratings are highest among the groups she, herself, is part of -- Democrats, women, nonwhites and young adults -- each of which represents a greater share of the changing makeup of the new House of Representatives. How Americans at large view Ocasio-Cortez will likely not factor much in her future representing Queens and the Bronx in Congress. But given the national platform she's attained, her ratings may matter more as her career progresses, and as she attempts to pass sweeping legislation like the New Green Deal she has sponsored in the House. Americans rate Joe Biden less positively than when he left office, but they still view him much more favorably than unfavorably. Sen. Bernie Sanders is still viewed favorably by a small majority of U.S. adults. Meanwhile, fellow democratic socialist Alexandria Ocasio-Cortez draws mixed ratings -- and half of Americans are unfamiliar with her. Asked to define socialism, 24% of Americans mention "equality," while 17% say it is government ownership of the means of production.